It sounds like Lord of the Rings is coming to the small screen. Warner Bros. TV is working with the estate of J.R.R. Tolkien to turn the author's book series into a TV show. Amazon Studios is in talks for the series. Amazon CEO Jeff Bezos is directly involved in the negotiations. The Lord of the Rings TV show is in the very early stages of development. No deal has been finalized, but the episodes will be based on the 'classic fantasy novels and their assortment of hobbits, wizards, and warriors'. Warner Bros. and the J.R.R. Tolkien estate have been shopping the series for a while now. The idea sparked a very competitive bidding situation, in which Amazon emerged as the front runner. Both Amazon and Warner Bros. refused to comment on the proposed deal. Bezos, who is a huge fan of the Tolkien books, doesn't usually get directly involved in the deal making process when it comes to original Amazon shows. But this show arrives at a unique moment for the streaming giant. Last month, there was a huge executive flush, with president Roy Price, head of scripted Joe Lewis, and head of unscripted Conrad Riggs all ousted from their positions. Roy Price left the company after a producer made sexual harassment allegations against him, with the incident said to have happened during production on Amazon's hit series The Man in the High Castle. The others left just a week later. Bezos has set a new programming mandate at Amazon, with Lord of the Rings falling in line with what he is proposing. Amazon Studios wants to shift away from 'niche, naturalistic series' such as Transparent and Mozart in the Jungle, as Variety puts it. They are now focused on shows with broad international appeal. Z: The Beginning of Everything and The Last Tycoon were both canceled under this new regime. 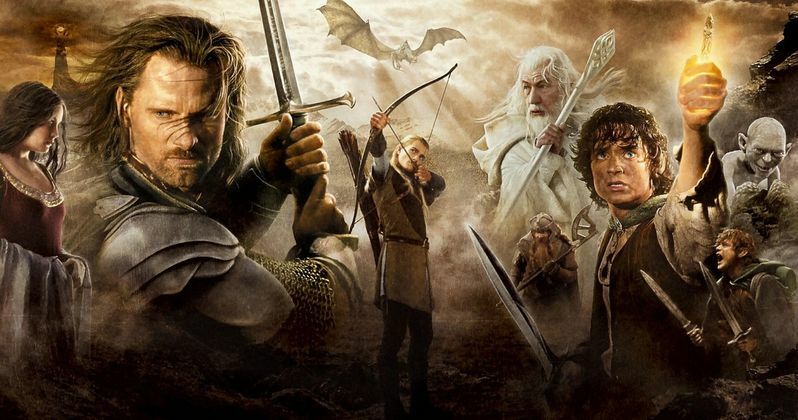 Warner Bros. and the Tolkien estate settled a huge lawsuit in July that had been dragging on since 2012. The pair were fighting over the use of Lord of the Rings characters in online slot machines and other games. They now appear to be working together again to further the Rings franchise. With the show in early development, it hasn't been decided how soon this show will go into production. It will be a huge undertaking, and may not arrive on Amazon until 2020, which seems far away but is only three years. It is unclear if Amazon plans on remaking Peter Jackson's trilogy as a TV show or if there is a different angle that the studio is taking with the material. At this time, none of the original cast is said to be returning.